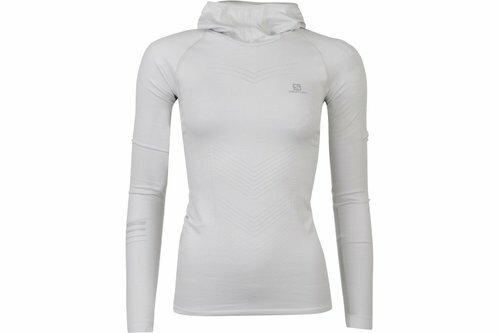 This Salomon Pro Ladies Top features long sleeves with a high neck and a hood. The sleeves have thumb holes to help ensure a correct fit, the top is lightweight with an active fit to ensure maximum comfort. It is finished in white with Salomon branding on the front.